These were first ordered a month or more ago, but the order got lost. Miniature Market in the USA was great.. their team investigated, found that the order hadn't been delivered, and so despatched a replacement order. It arrived in seven days (as did the original WW1 order). Awesome service, highly recommend dealing with these guys. 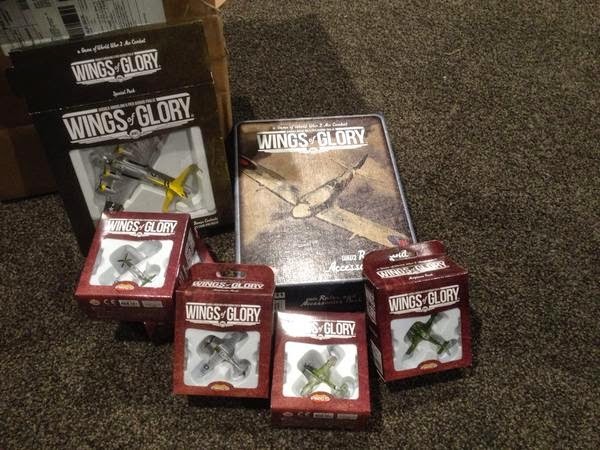 Anyway, the order consisted of the WW2 Starter box, a B17 and two P51s, and three Fw190s. Looks like it's daylight bombing missions over Germany. Bandits 12 O'Clock high and all that.